Ladies and gentlemen, boys and girls, Wccftechians of all ages. 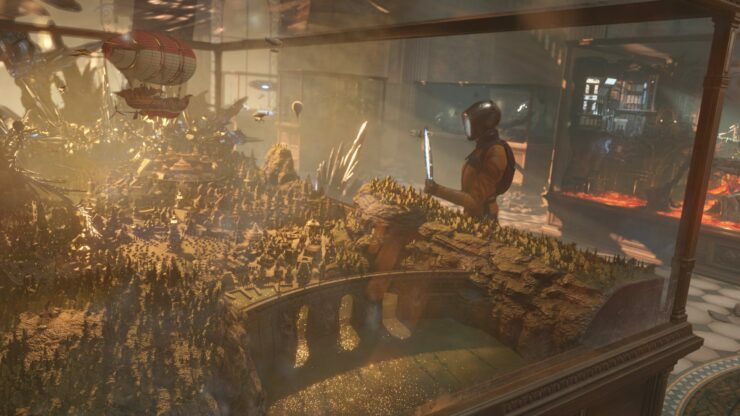 Welcome to the first Official Wccftech Community: 3DMark Time Spy Bench-a-Thon! 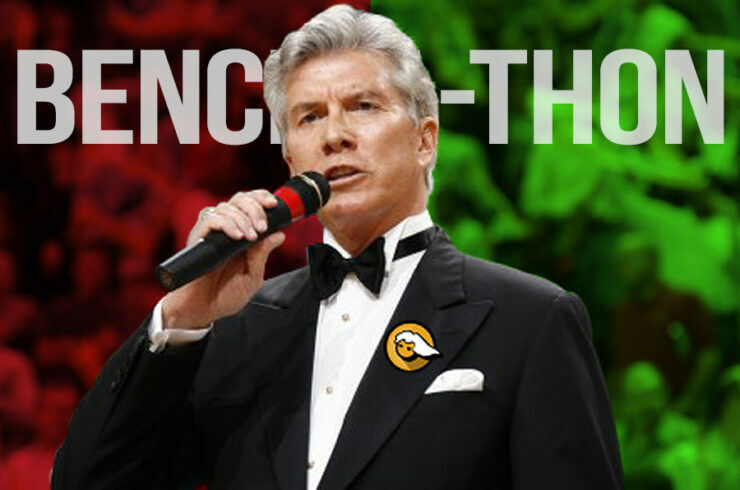 As your host, I’d like to first thank you all for your attendance and (hopefully), your participation. This “article” will be a bit different from what you are all used to here at Wccftech. This will be more of a platform than anything. The meat of the information you will get here, will be down below, in the comment section. This is where our lively community congregates daily after all. If you are not interested in reading, please scroll down to the rules, followed by the comment section. Wccftech is a wonderful place to visit. Full of informative articles, analyses, leaks, reviews, news and more. But it’s a bit more than that. 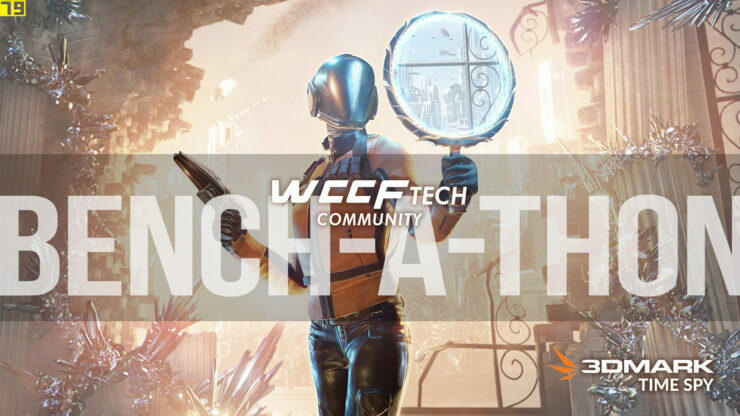 Wccftech is also a community of (semi) like-minded, tech savvy, and passionate individuals spending their time having civil, intelligent discussions about technology. I personally enjoy stopping by, reading an excellent article or two, and saying Sup? to all the regulars. A Bench-a-thon is a great way to bring our healthy community together. We’ve done this in the past (though not officially) and it was very well received. Many Wccftechians got involved and it prompted an amazing few days of interesting and stimulating conversation along with peace and unity. A Bench-a-Thon is an activity that everyone can get involved in. It evokes insightful commentary, demonstrates real world performance, leads into great analyses, and it’s all in real time! No fear of paid reviews, no fear of cheating (because 3DMark logs all settings and hardware configs) and no disputes. Everything is right out in the open, for all to see and enjoy! Additionally, it offers visitors and participants alike, a good idea as to how different hardware tuning/configurations perform in specific (in this case synthetic) tests. 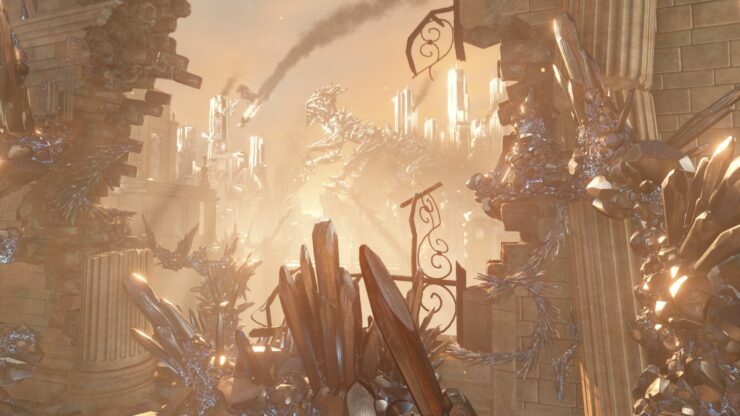 With the release of Futuremark’s 3DMark Time Spy DirectX 12 benchmark, we finally have a new platform to run tests on. 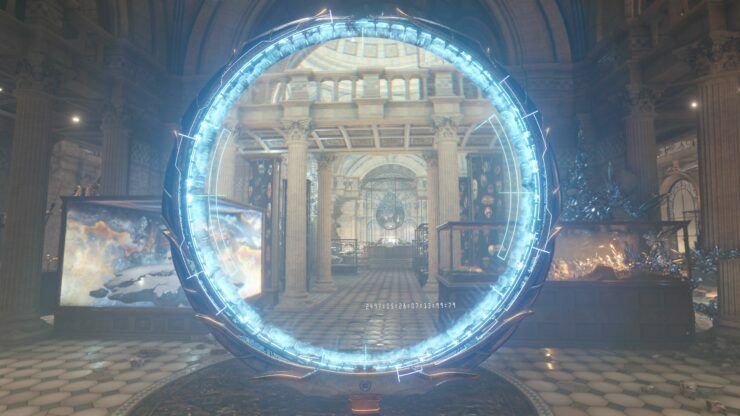 Touted as “5 Times Heavier on your GPU than Firestrike,” this one is especially exciting because it leverages Microsoft’s newest API, DirectX 12. Along with it comes a vast array of improvements over the now dated DirectX 11 API. Reduced processor overhead, better multi-threading support, asynchronous compute (the workload per frame varies between 10-20%), and explicit multi-adapter, allowing for the pooling of resources between two graphics cards. Finally, a benchmark dedicated to testing a GPU’s capabilities on a modern API. While Time Spy will only work on Windows 10 (time to utilize that free upgrade before July 29th), it will work with a vast array of graphic cards, starting as far back as the GTX 680 and Radeon HD 7970. The benchmark is short, approximately 3 minutes. It can be downloaded for free (download) or better yet, buy it so you can skip the demo. In order to maintain consistency, do not alter any settings in 3DMark Time Spy. Do not alter any settings in your driver settings. Simply run the benchmark, then submit a link to your score in the comments section. After a few days (depending on the amount of submissions/comments), I will collect data and make an awesome spreadsheet with the results. 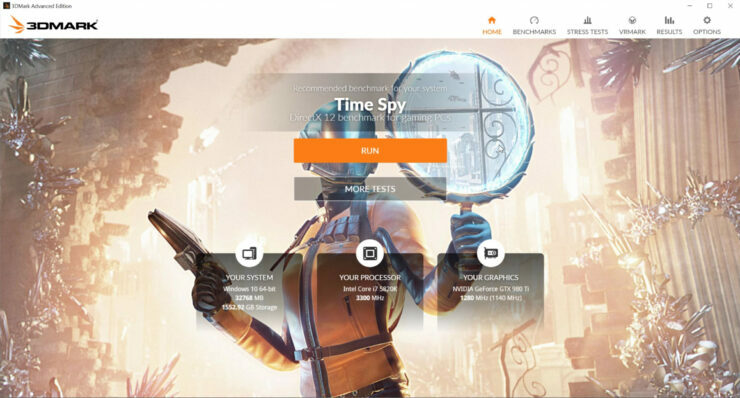 Open 3DMark, click Time Spy, do not change any settings. 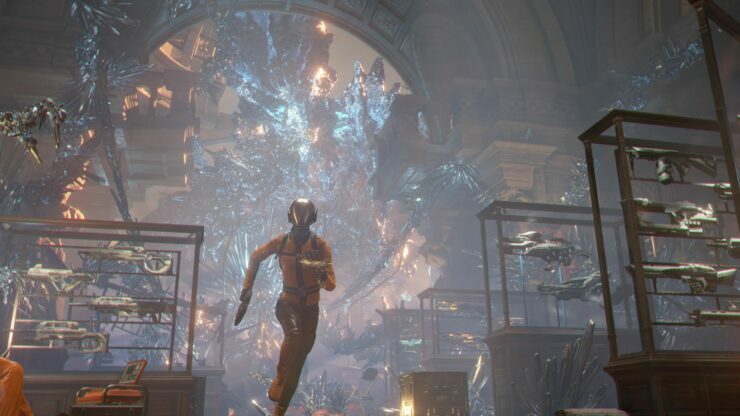 Run the 3DMark Time Spy DirectX 12 Benchmark. Submit your valid link in the comments section. Include your CPU & GPU overclocks, in case they are recorded incorrectly. Multiple Submissions are welcome. Encouraged in fact. Enjoy the Bench-a-Thon! Here is some light, nostalgic music to enhance the mood while you achieve glorious Time Spy scores.